If infrastructure sabotages your plans, leaves you stressed, and renders your devices useless, stop what you’re doing. Don’t waste one more instructional minute trying to stream video, just to lose connection, spin for too long, or time-out. Submit the problem to IT, and move on. Dust off the devices. Let’s focus on what can be done to change the way our students demonstrate their understanding of newly learned content and apply their knowledge without the network. Know these apps? Read through the uses to pick up a new twist on an old favorite. Ask students to explain their learning in a new way. 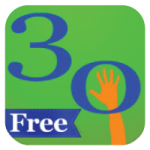 30 Hands allows students to import images from the camera roll, annotate those images, create new illustrations within the app, or combine all slide types to demonstrate their understanding of a new concept or apply learning with new connections. Once the images are imported, students will narrate each slide to create a presentation. Narrated presentations save easily to the camera roll. Turn students’ devices into blank slates for illustrating concepts and explaining their understanding for a quick snapshot of learning. Although popplet is an excellent platform for brainstorming, think beyond a web. Anything in your content area that can be broken down into steps, can then be described, illustrated, applied, and extended using Popplet. Collages are an excellent way to combine apps for stronger connections and internalization of learning. Create picture collages with images, text, and stickers. Easily customize colors, fonts, layouts, and backgrounds. 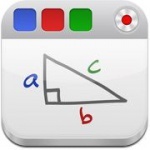 Save it to the camera roll for use in other apps like 30 Hands, Educreations, and Popplet. Add a few words and save to camera roll. Narrate in 30 Hands. Scan For More! No Connection Needed? QR stands for Quick Response and is typically used to link to a website. However, QR codes can also link to text! Think of all the extensions, hints, and answers you can add to your classroom walls, worksheets, and centers without worrying about the network! No network. No stress. No excuses. Use these five apps in powerful ways to assess student learning, demonstrate new knowledge, and present their applied learning to peers. **Some of these apps offer additional features with a connection, but it’s not required. If your students create something you love, then make arrangements to get connected. Just remember, not everything has to come off the device. What’s the purpose of the activity? If it’s to demonstrate understanding…. that’s done.